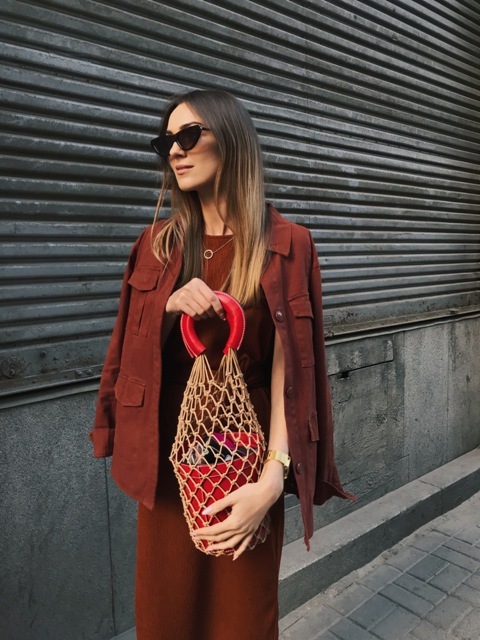 Do you like to follow the fashion trends? 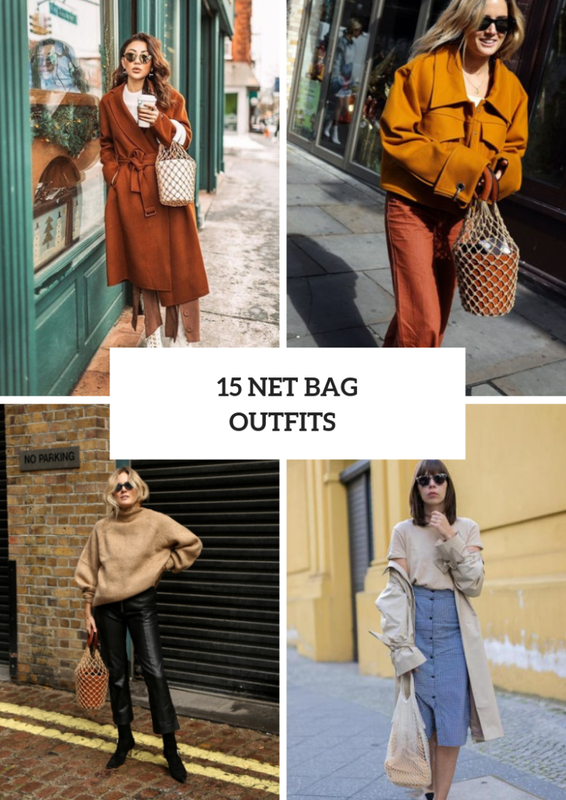 Then I’m sure you already know about a new bag trend – a net bag. 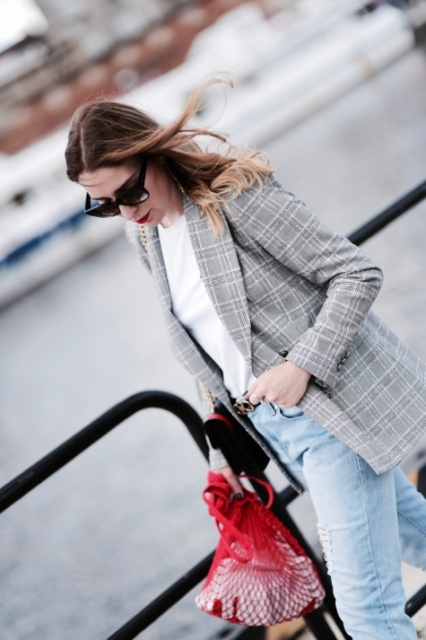 Fashionistas around the world try to create gorgeous outfits with them, so you can repeat their looks (some of them you can find below). As usual you can choose any colored bag according to you wishes and the whole outfit. 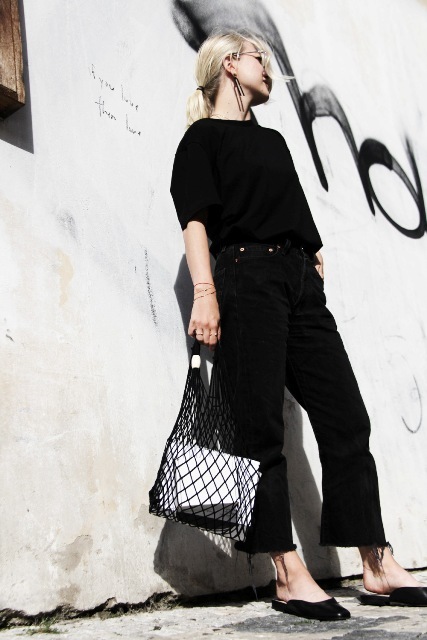 If you think that this type of bags is only for summer days, you’re mistaken cause it is a perfect addition to fall and winter clothes combinations too. Scroll down to make sure. Get inspired! Wanna create a feminine but comfy look at the same time? Then, of course, you need to get a perfect dress, for example, you can take a navy blue or black satin belted maxi dress and combine it with a black crossbody leather small bag, white sneakers and a yellow net bag. 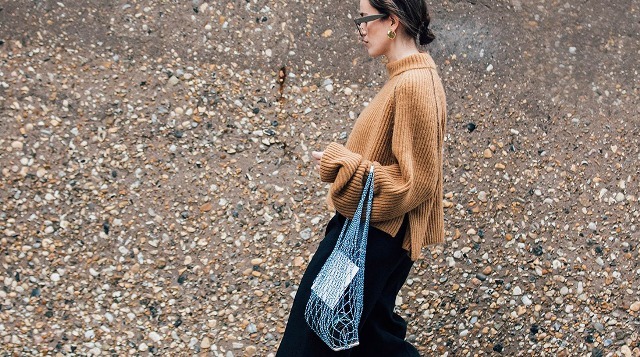 Or you can choose a brown loose sweater and mix it with a black midi skirt, sunglasses, flat shoes and a blue bag. 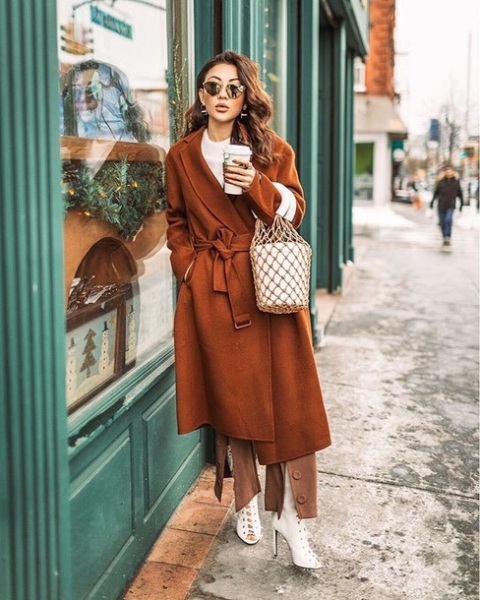 If you want to make a casual but eye-catching look, then you need to pair a light brown oversized turtleneck sweater with black leather cropped pants, black suede sock boots and a beige and brown net bag. Or you can try to repeat a combination with a green sweater, skinny jeans, blue pumps and a blue bag. 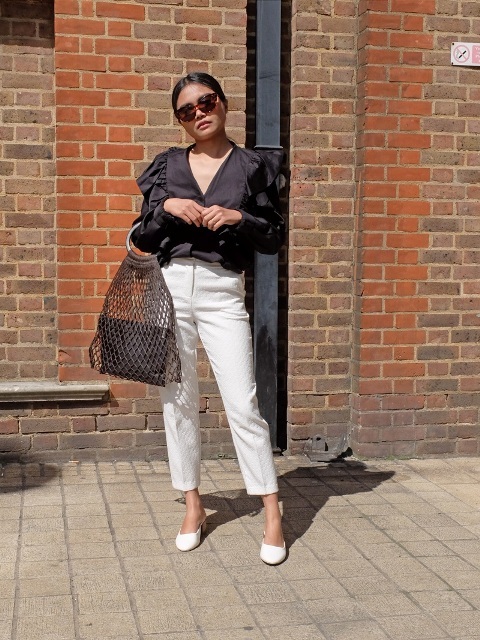 For those who like a classic style I offer to combine a white t-shirt with black straight trousers, beige patent leather mules, a checked maxi coat and a white net bag. 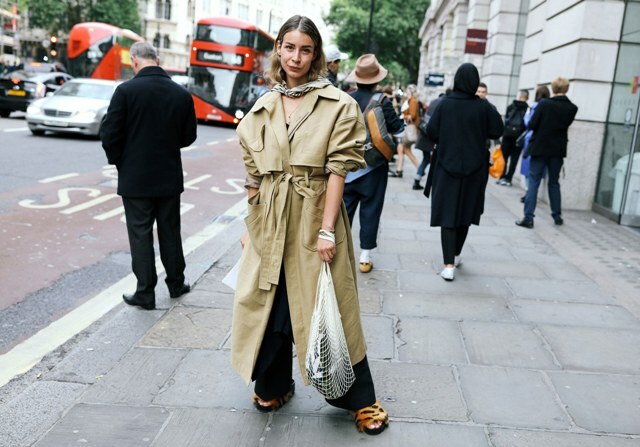 Or you can mix a beige t-shirt with a printed midi skirt, black pumps, a beige loose trench coat, sunglasses and a beige bag. For more ideas look below.